You say you want comfortable, charming, scenic accommodations? 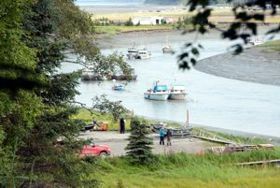 Kasilof River Lodge and Cabins offers five cozy cabins and a yurt overlooking the Kasilof River. 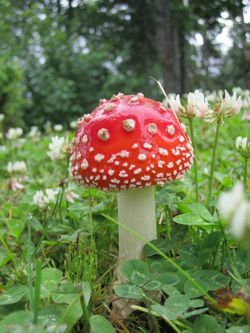 All cabins are fully furnished and include satellite TV and continental breakfast. We provide everything you need for your Alaskan getaway including all cotton linens, cookware and dinnerware, and gas grill. 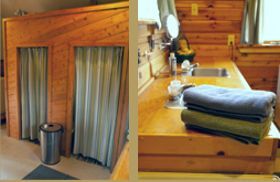 There are three rooms for rent in the lodge. All have access to lodge facilities with a large sun deck and satellite tv. 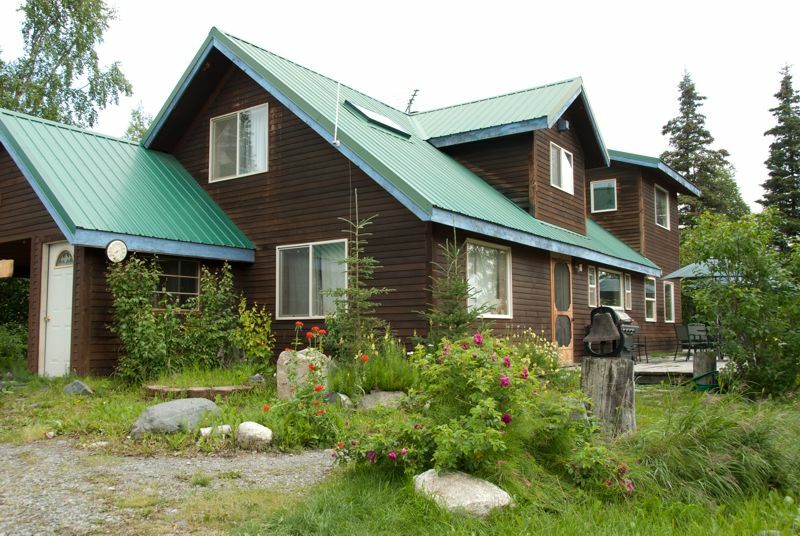 Eagles Nest has floor to ceiling windows that overlook the Kasilof River and a fully-equipped kitchen and bath. Accommodations include a king-sized bed in an upstairs bedroom and a queen-sized futon sleeper sofa on the main floor. 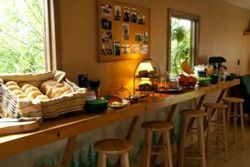 Bears Den has a sitting porch overlooking the river with a fully equipped kitchen and bathroom. 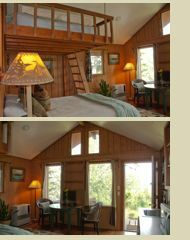 Accommodations include a queen-sized bed on the main floor with a queen-sized futon in an open loft. 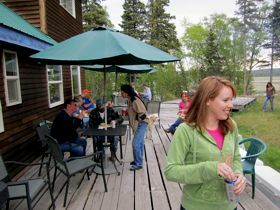 Lynx Lair has a sitting porch overlooking the river and shares our fully-equipped cookhouse and bathhouse. 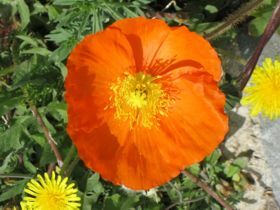 Accommodations include a queen-sized bed on the main floor with a queen-sized futon sleeper sofa and a full-sized futon in an open loft. 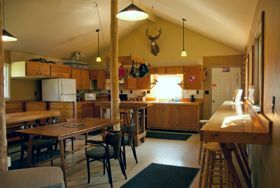 Moose Muskeg has a sitting porch overlooking the river and shares our fully-equipped kitchen and bathhouse. Accommodations include a king-sized bed and full-sized futon sleeper sofa. 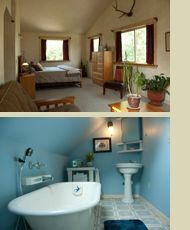 Ravens Room has a sitting porch and shares our fully-equipped kitchen and bathhouse. 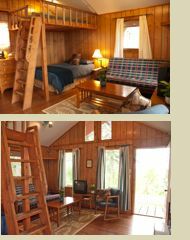 Accommodations include full sized spruce log bed and a single sleeper sofa. 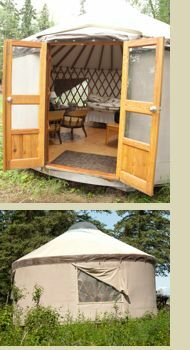 Yaks Yurt overlooks the Kasilof River with a full-sized bed and full-sized futon sleeper sofa. 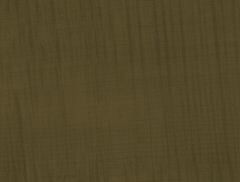 All cabins rates are for two adults, additional adults and children 13 and older are $15/night each.